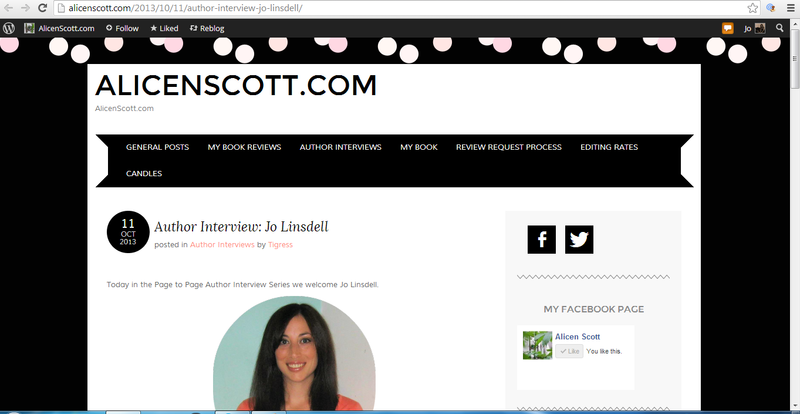 I've also been busy checking out all the workshops at The Muse Online Writers Conference this week. Some really great info and tips were shared and I've made lots of notes that I'm sure will come in very handy next month. 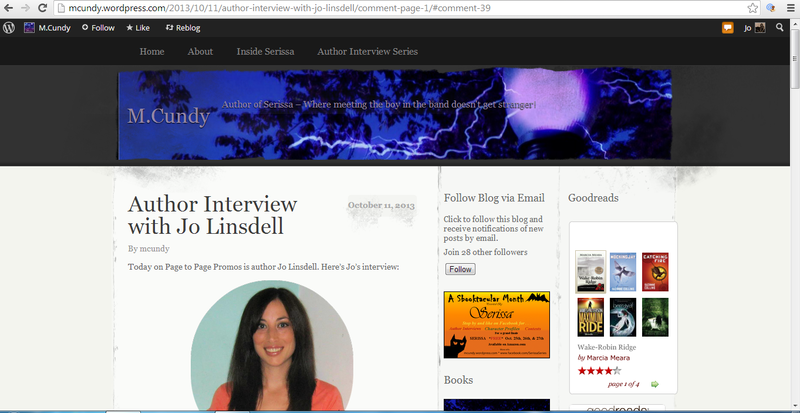 Today it's back to the tour though and I'm hosted to not one but two author interviews. The lovely ladies from Page to Page are hosting me on their blogs http://alicenscott.com/2013/10/11/author-interview-jo- linsdell/ and http://mcundy.wordpress.com/2013/10/11/author-interview-with-jo-linsdell. Please take a minute to drop by, click the like, and leave a comment. All shares are also most appreciated. 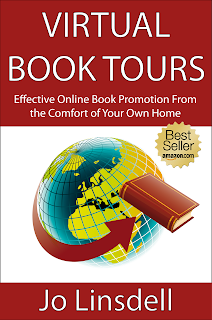 VBT Day 46: What Are Virtual Book Tours?